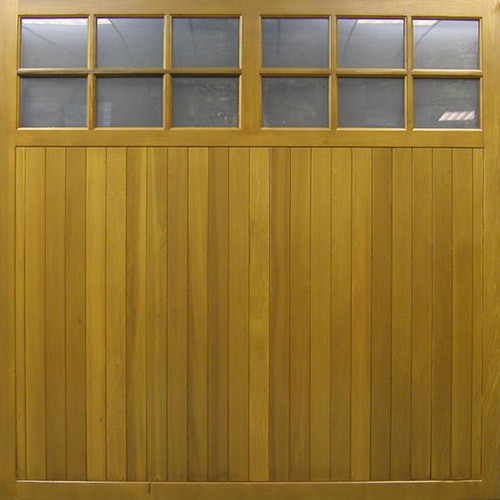 The Garage Door Centre have specified, supplied and installed Cedar Garage Doors for many customers during the last 20 years, a range that is manufactured entirely from timber and in the main, cedar wood. Light in weight and colour, cedar wood is a durable, warm timber species that is used extensively for outside cladding. 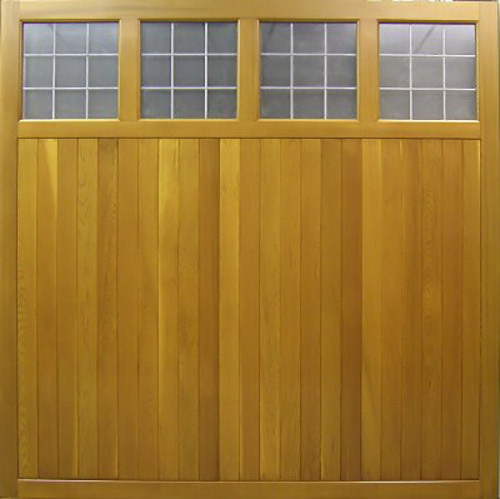 The majority of Cedar garage doors are constructed using Western Red Cedar, offering elegant period designs for various types of property. 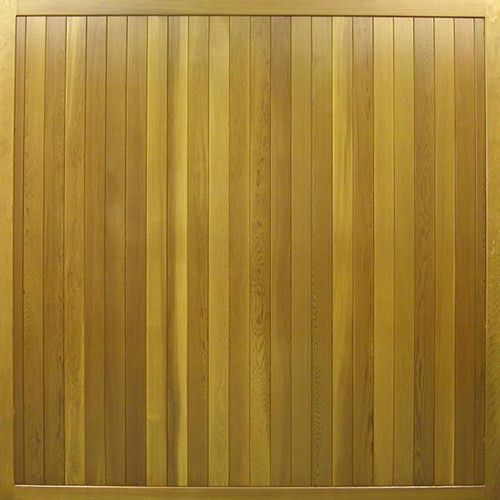 This timber is known for its exceptional beauty, richly textured woodgrain look combined with a palette of warm, mellow colourations, ranging from light amber to a deep honey brown. 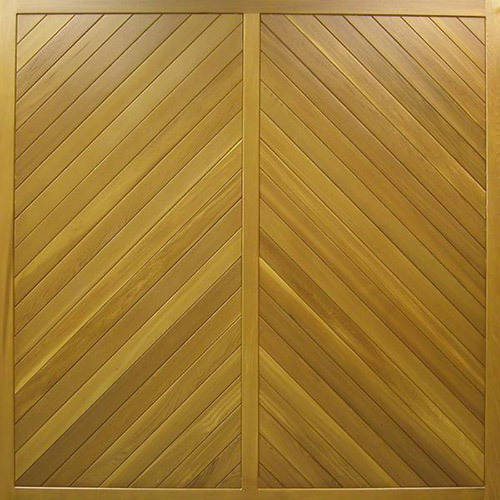 It's fair to say that despite progressions within the garage door industry, to replicate the look of a timber garage door, no man-made material can truly duplicate the depths of cedar wood's natural lustre. 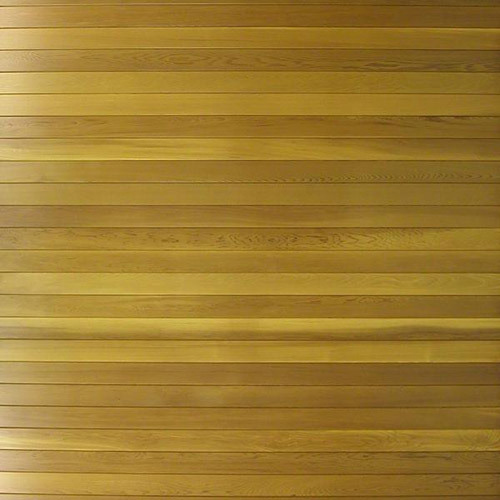 It's subtle aroma remains for the duration of its long life span, and this characteristic fragrance adds another dimension to its universal appeal. Cedar wood, especially Western Red Cedar, contains natural oils that act as preservatives to help the wood resist insect attack and decay. 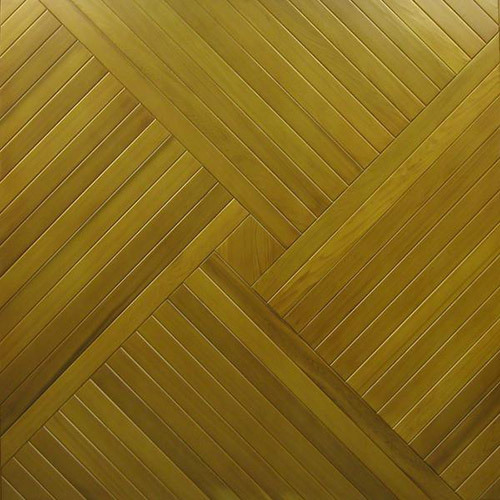 This dimensionally stable wood remains in a consistent shape, lying flat and keeping straight. 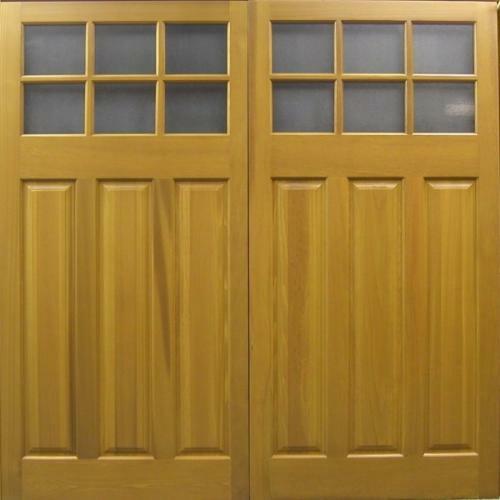 All doors are hand prepared and finished to the highest standard and give full weather protection when fully furnished. 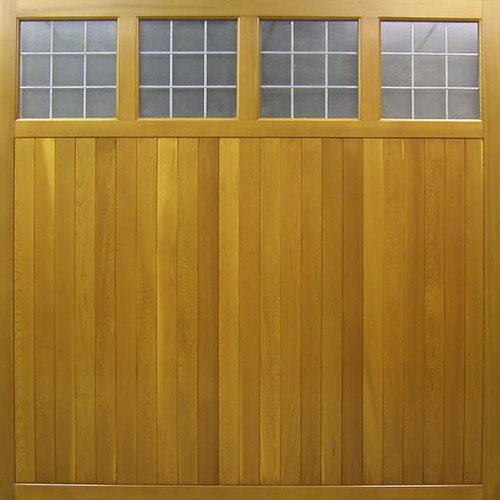 When properly finished and maintained, Western Red Cedar ages gracefully and endures heavy use for many years due to its durability and stability. 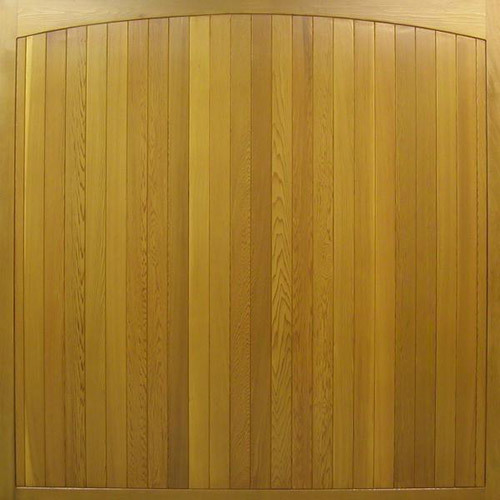 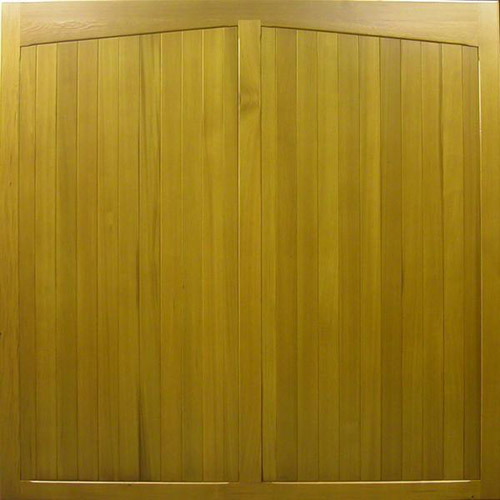 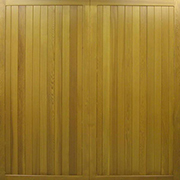 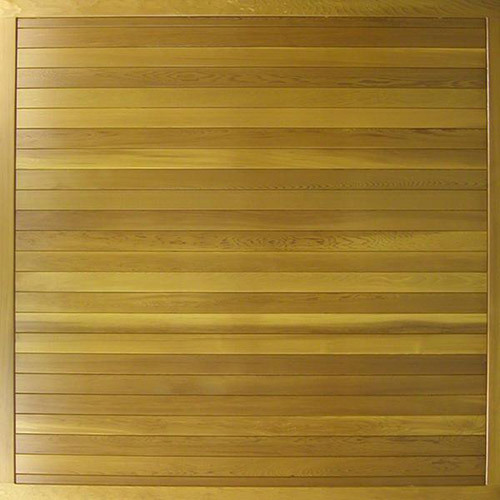 Beauty aside, the purely practical pound-for-pound value of cedar doors against other timber offers more benefits: the cedar woods cellular structure creates interior air spaces that give it a secure level of insulation - much higher than that of most woods and much higher than brick or concrete. 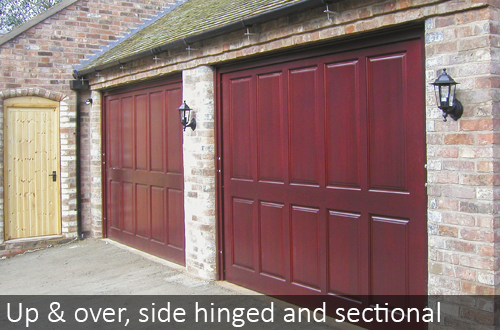 The range of Side-Hinged doors are an alternative option to the Up & Over method of doors, giving a more conventional opening style of garage door. 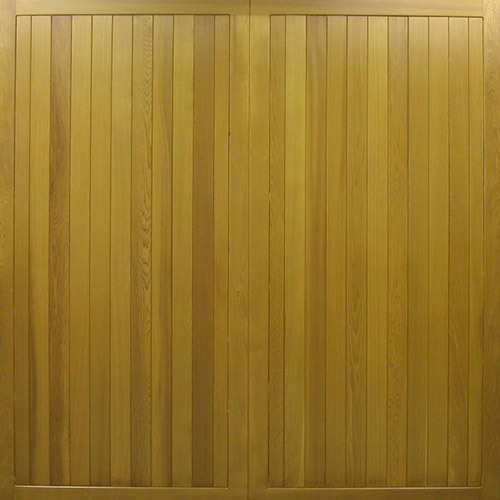 These are traditionally constructed with solid cedar stiles and rails, with panels of either plywood or solid cedar. All joints are morticed and tenoned, glued and wedged - this is why it is the strongest joint method in door construction. 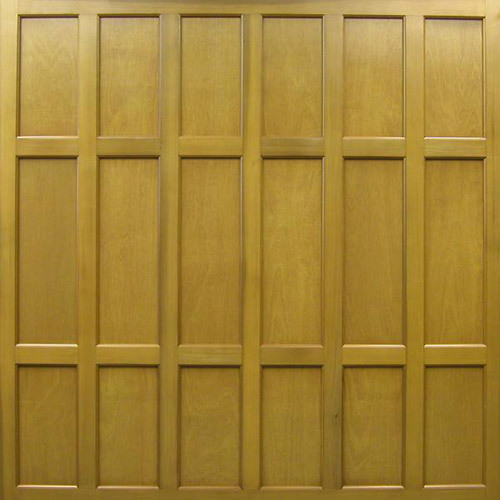 Doors are available in made to measure sizes upto 6ft to 10ft wide by 5ft 6ins to 8ft high, with choice of hardware combinations to suit your style. 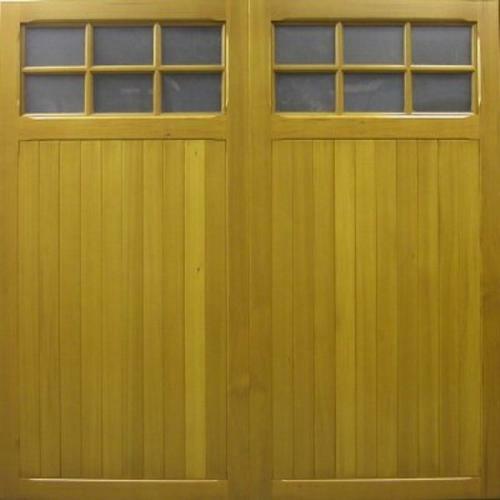 The Cedar Doors Side-Hinged garage door range comprises of various models from the Up & Over range which are converted to use Side-Hinged gears. 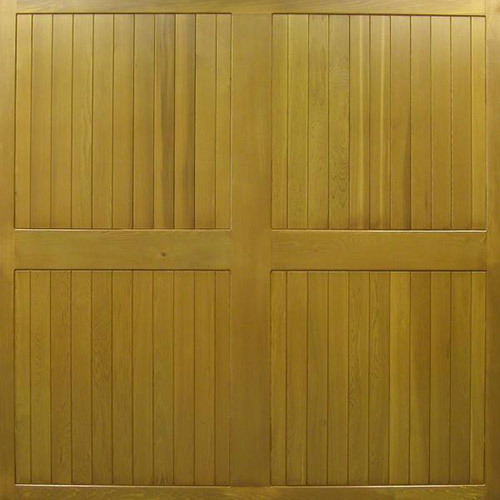 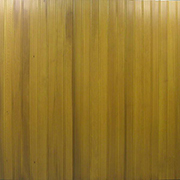 To view the entire range of Cedar Doors Side-Hinged garage doors, view our product catalogue. 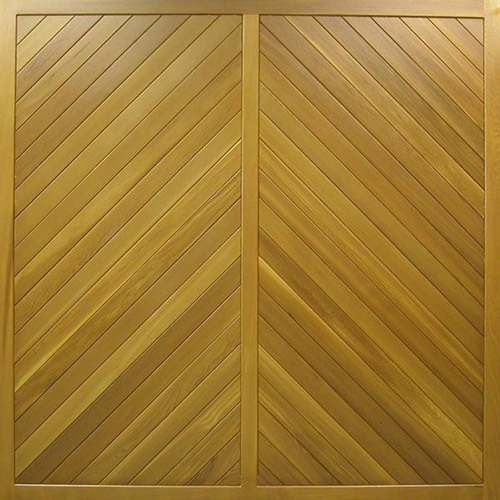 Vertical lifitng doors are a new concept in cedar domestic garage door operation. 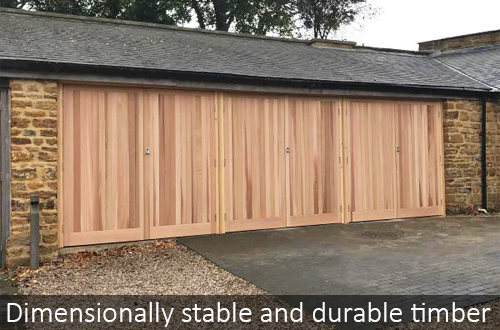 The Cedar Doors' range of sectional overhead doors offer all the same advantages of Up & Over doors, and are constructed to the same high standard and specifications as the traditional range of doors, but with a completely different method of operation. 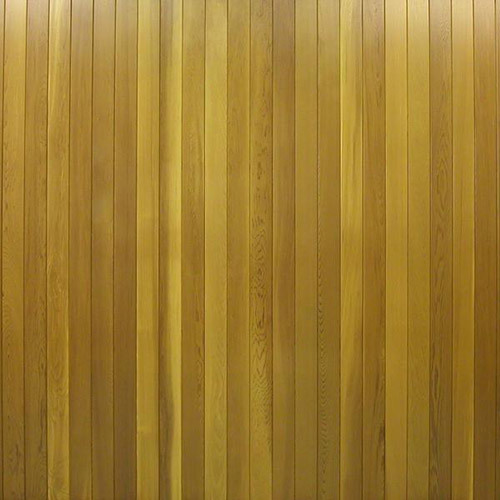 The tracking system takes the cedar panel sections up and down vertically with curved tracks. 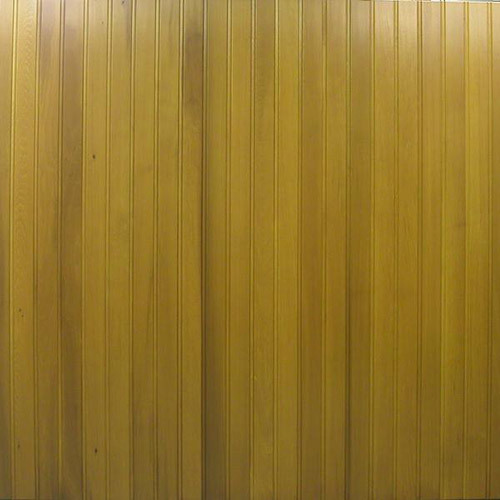 These take the individual door panels into the garage on horizontal rails, neatly sitting higher up than the opening height. 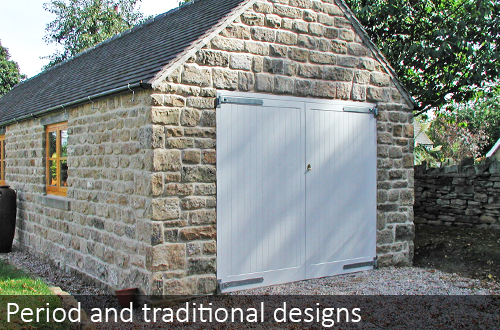 Sectional doors offer greater practicality, gretaer weathersealing properties and greater overall security. 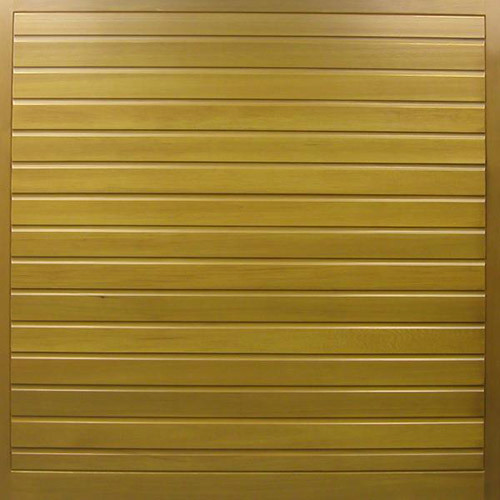 The Cedar Door Sectional garage door range comprises of various models from the Up & Over range which have been designed to use Sectional garage door gears. 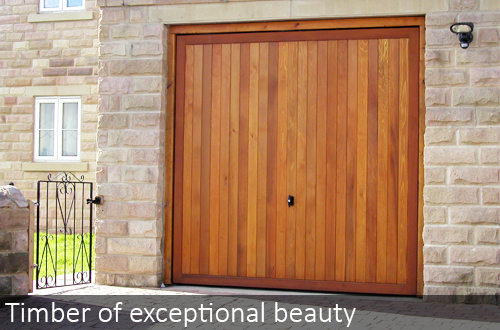 To view the entire range of Cedar Doors Sectional garage doors, view our product catalogue. 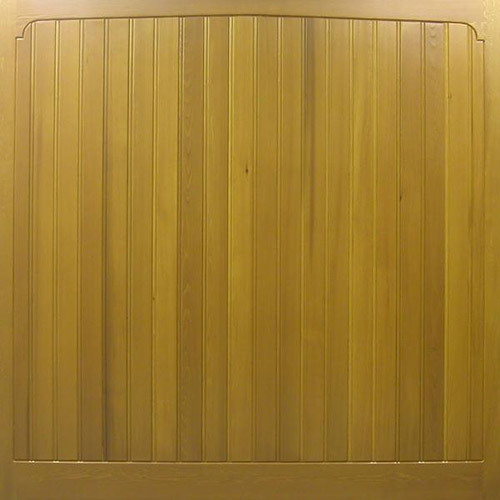 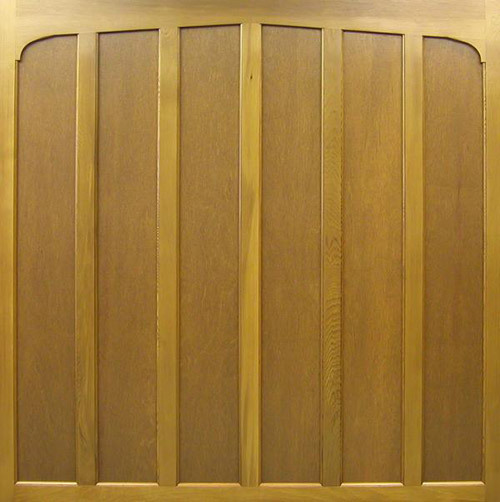 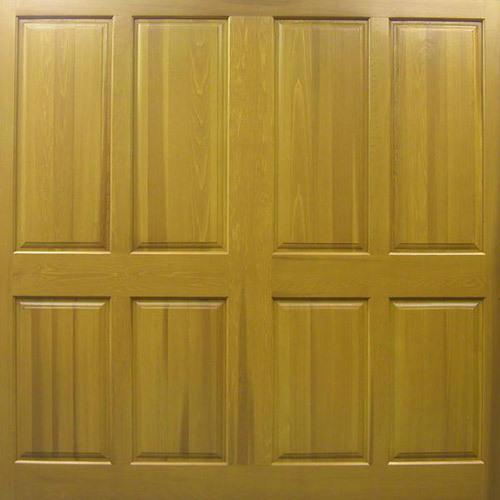 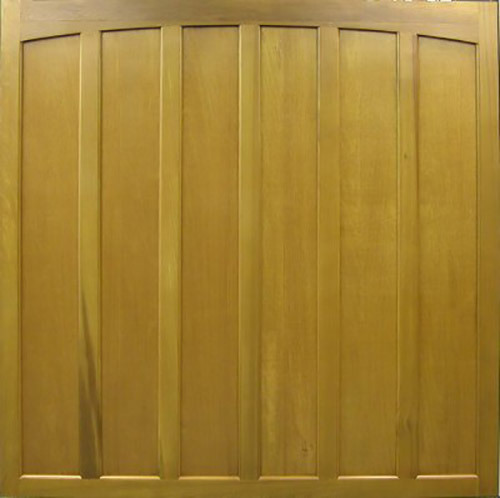 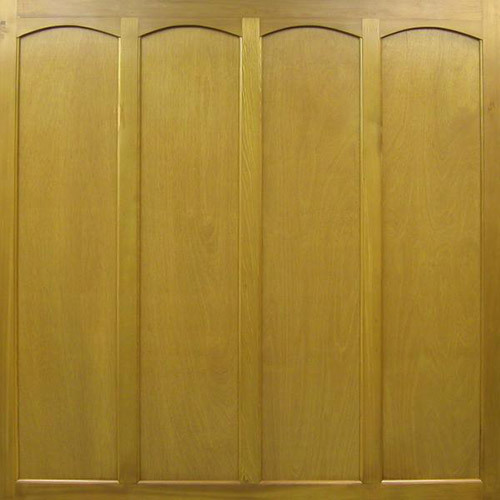 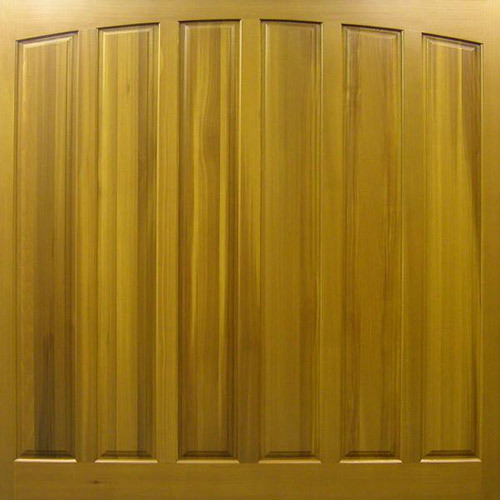 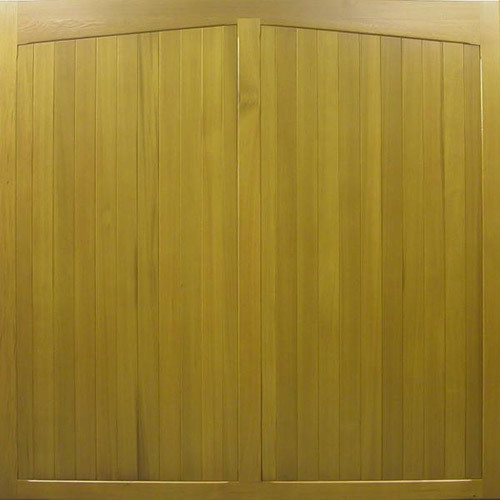 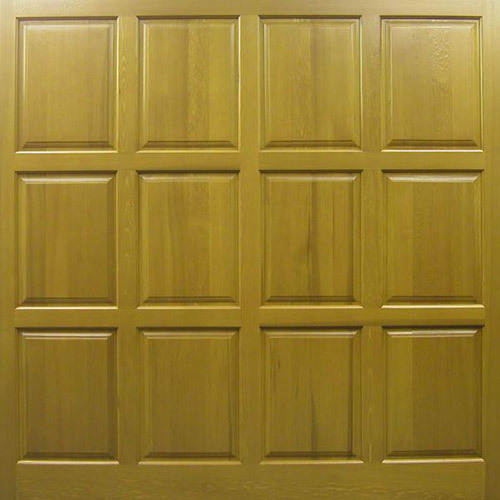 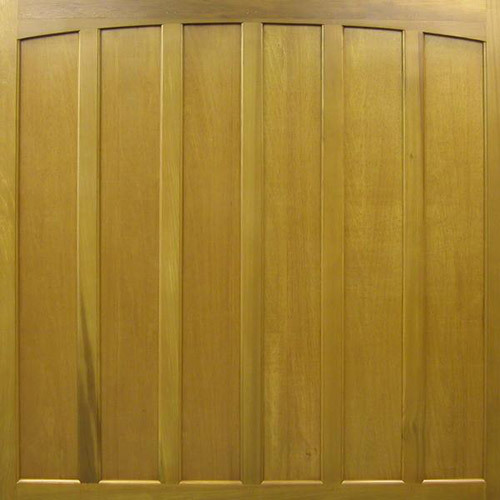 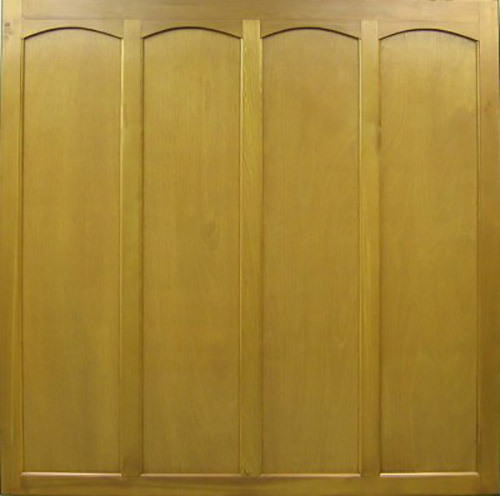 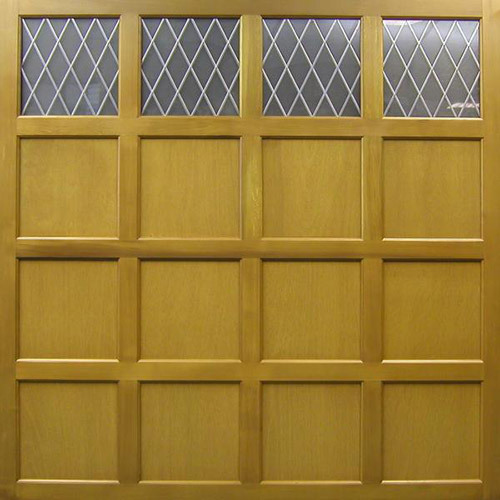 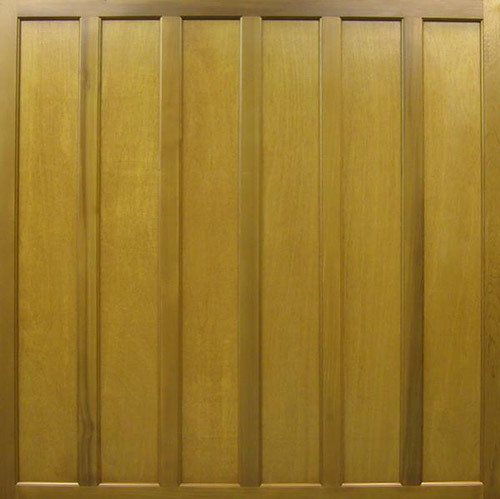 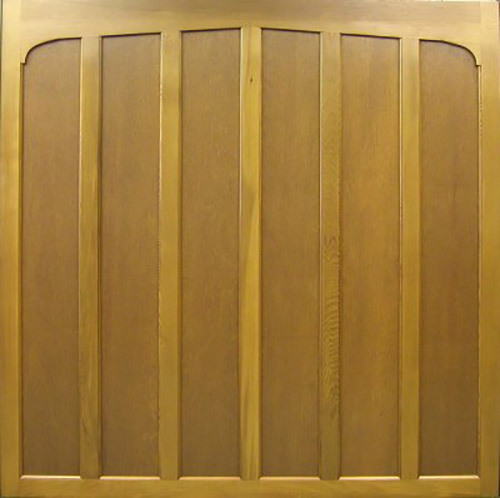 All of these doors are manufactured to a high quality to enhance the appearance of any modern or period designed home. 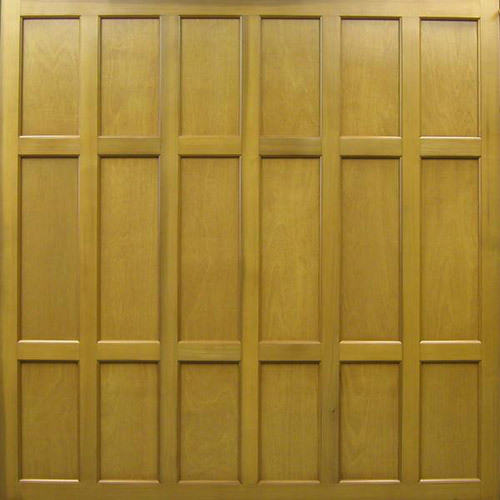 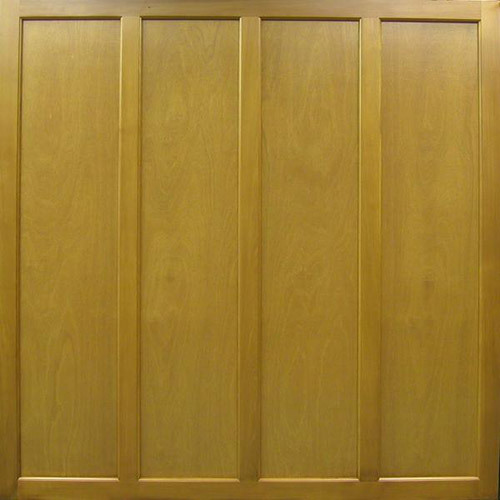 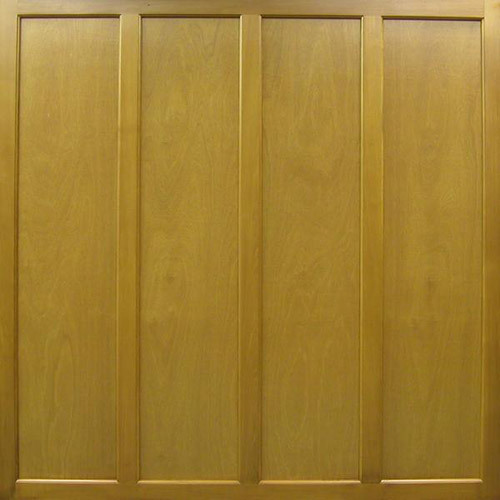 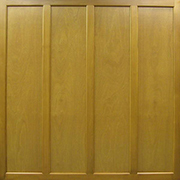 All doors are available in made to measure sizes, from 6ft to 18ft wide, by 5ft 6ins to 8ft high. 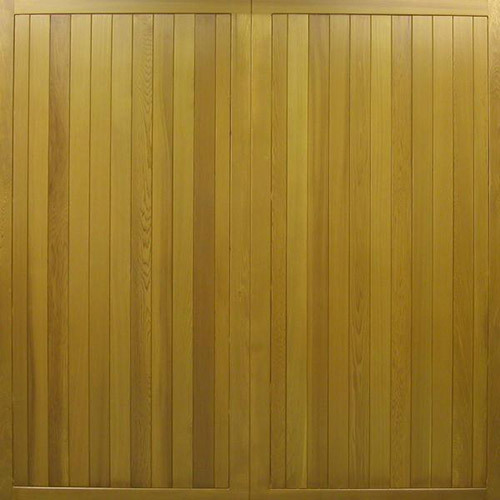 If you're interested in Cedar Doors, or have any questions, The Garage Door Centre have fantastic, knowledgable team who can help you out. 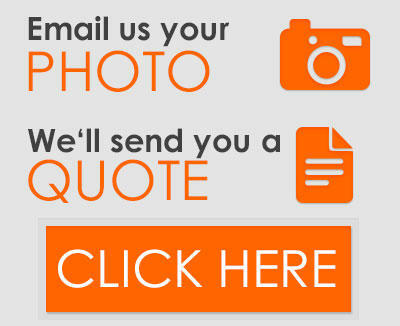 Just give us a call on 01933 229135.